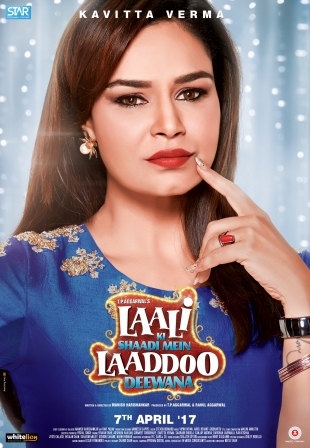 Laali Ki Shaadi Mein Laaddoo Deewana, is an upcoming Bollywood film starring Vivaan Shah , Akshara Haasan , Gurmeet Choudhary and Kavitta Verma in the lead roles . The film’s teaser posters were released subsequently and Kavitta Verma who plays a pivotal role in the film teaser poster was released recently. 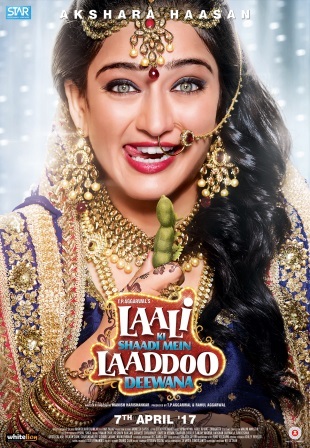 In the poster featuring Akshara, the light-eyed beauty is seen in bridal wear and a mischievous expression on her face as she clutches a piece of tamarind, hinting at the possibility of a pregnancy before marriage. 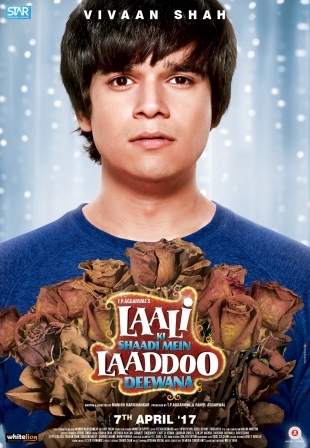 The other poster featuring Vivaan shows him holding a bouquet of wilted roses and a forlorn expression on his face. Needless to say, the teaser posters have made everyone curious to know more about the storyline and we guess the secret will be out as and when the film releases. 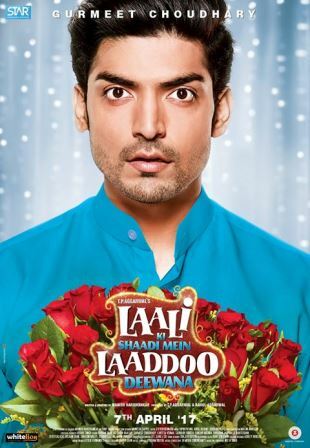 The teaser poster of Gurmeet Choudhary was released on the occasion of his birthday and tweeted “On my birthday I present to u #veer from #LaaliKiShaadiMeinLaaddooDeewana releasing on 7th April. Lots of love.” Professing his special gift for his fans on the occasion of his 33rd birthday. The handsome actor, who will be essaying the role of Prince Veer in the movie, is seen wearing a blue outfit on the poster and has a bouquet of red roses in his hands. While he is looking dapper as always, his shocked expression has everyone intrigued. Written and directed by Manish Harishankar and produced by TP Aggarwal and Rahul Aggarwal under the banner Star Entertainment Worldwide Pvt Ltd. The movie also features Saurabh Shukla, Sanjay Mishra, Darshan Jariwala, Ravi Kishan, Suhasini Mulay, Navni Parihar, Kishori Shahane, Jyoti Kalsh and Ehsan Khan. This film is a family entertainer which revolves around a royal marriage and quirky characters, who are hilariously trapped in their own tragedies.